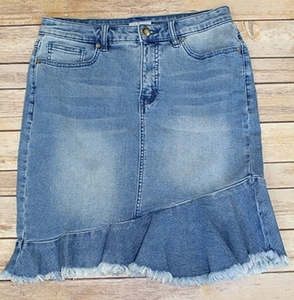 Tribal Bluebliss Jean Skirt With Frayed Frilled Hem. Fabric 72% Cotton, 22% Polyester, 4% Viscose & 2% Spandex. Wash Before Wear. Machine Wash Delicate.